There’s nothing better than a crisp white dress on a spring day—especially when it’s one like this Macgraw number. I am a huge fan of shift dresses as I’ve always found them to work with my height and shape so I particularly like this dress for its Victorian take on the style. The high neckline works well to ground the slightly more whimsical sheer puff sleeves. The sweetheart neckline and gold buttons turn the design into something that has a feminine feel but with modern accents to avoid it looking too saccharine. One combination I’m really loving at the moment is dresses worn with sneakers. I like the high-low mix of it and think it can help turn a dress that’s a little more formal into something that’s appropriate for off duty wear. I’m quickly amassing a huge collection of white sneakers because they’re my go-to on days when I want to go a little more casual, and this new pair by Calvin Klein have already been on a few outings. The sleek, pared back design make them an easy shoe to work back with multiple looks in my wardrobe. Also the monochrome colour palette make them ideal for various occasions. I like to keep things quite minimalist most days so opted for a sleek crossbody bag that’s just the right size for a day out. It also adds a casual element to help temper the bold, statement elements of my dress. Cushnie et Ochs Resort 2014. Alice + Olivia Resort 2014. You have the green light this season! 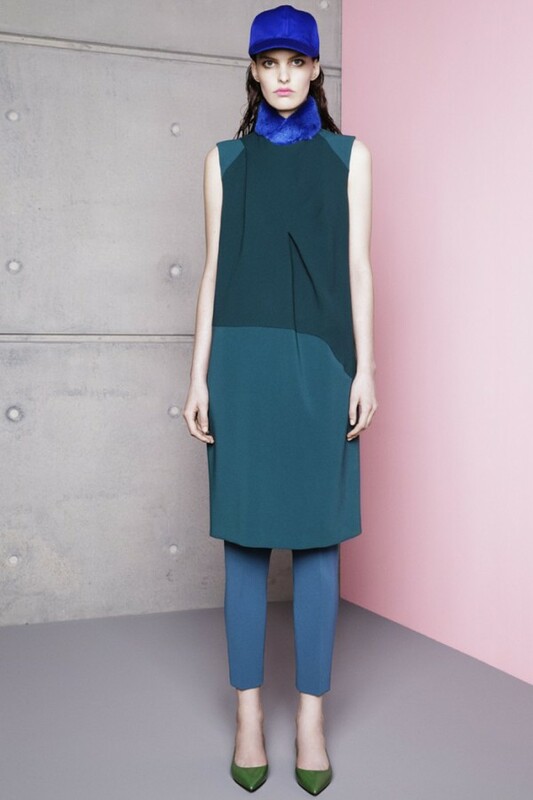 Whether it is head-to-toe or a statement piece, shades of green dominated the international Resort 2014 collections. Try block colour for a bold statement (as seen by Chloe) or have fun with it and mix various shades of emerald for a unique touch (as seen by Burberry Prorsum).